If you haven’t heard of No Man’s Sky yet, you’re missing out. This open-world adventure game 5+ Sandbox Games Like Minecraft You Must Play 5+ Sandbox Games Like Minecraft You Must Play Perhaps Minecraft has grown stale for you over the past few years. The good news is that there are plenty of other games like Minecraft that provide a compelling survive-in-a-sandbox environment. Read More is set to pioneer a new standard in procedural generation, a topic that’s deeply interesting even if you don’t consider yourself to be a gamer. The buzz is strong with this one. So strong, in fact, that many people consider No Man’s Sky to be one of the most anticipated games in 2015 15 Unmissable Video Games You Need to Play in 2015 15 Unmissable Video Games You Need to Play in 2015 All of these games are due to be released in 2015, meaning this is a list of games you should definitely be keeping an eye out for between now and the beginning of next year. Read More . 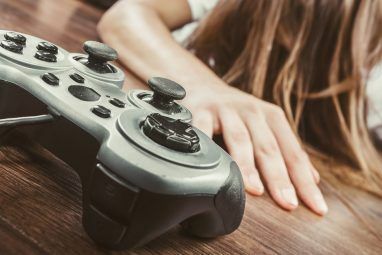 Others believe that the game is showing the classic signs of overhyped game marketing 3 Things About The Video Game Industry That Piss Me Off [MUO Gaming] 3 Things About The Video Game Industry That Piss Me Off [MUO Gaming] For the most part, video games are fantastic. I spend a good part of my free time sitting in front of my computer monitor or TV wrapped up in a video game. The fact is,... Read More , or “spore syndrome”. So, who’s right? Let’s take a look at how No Man’s Sky will (supposedly) revolutionize the landscape of procedural generation and what that means for the future of virtual technology. When the indie game development 5 Free Game Development Software Tools to Make Your Own Games 5 Free Game Development Software Tools to Make Your Own Games Here are the best free game development software and tools you can use to start making your dream game today. Read More renaissance hit the scene in 2010, procedural generation was catapulted to the foreground. It was the one of tools used by indie developers to bridge the wide gap of content creation. Think about games like Super Mario Brothers, Goldeneye 007, or even World of Warcraft. There are so many art assets needed (like sprites, models, textures) and so many in-game entities that need to be scripted (e.g. artificial intelligence, level design, quests). It’s all static content that someone needs to craft by hand — a process that consumes a lot of time. AAA game studios can afford it because they employ huge teams. However, indie developers often fly solo and can’t produce content at the same speed or quality. So instead of crafting ten levels by hand, why not hand the work over to an algorithm that can generate as much content as you could ever need? That’s procedural generation How Procedural Generation Took Over The Gaming Industry How Procedural Generation Took Over The Gaming Industry Read More in a nutshell. The poster child for this concept is Minecraft A Latecomer’s Introduction To Minecraft [MUO Gaming] A Latecomer’s Introduction To Minecraft [MUO Gaming] Minecraft, the block-based sensation that took gaming by storm, is now well over three years old. It’s almost hard to believe it’s been that long since the first alpha was posted – and it’s equally... Read More , a creative survival game that can be thought of as virtual LEGO. Each new game begins with a brand new world. Nothing is static. The game world is built of meter-wide blocks, linked together according to a series of elaborate rules. With just a handful of assets (and the right set of rules), Minecraft can offer you a unique experience every time. Or what about Dwarf Fortress? This game, which has been evolving year after year for nearly a decade, is the holy grail of universe simulators, and a staggering monument to autism. It may be an ugly game with a steep learning curve, but no other gaming title can match the sheer depth and breadth of Dwarf Fortress’s dynamic content. When you have hundreds of algorithmically controlled systems interacting in millions of complex ways, it’s easy to see how this kind of game would be impossible to craft by hand. It can only work due to procedural generation. For games that are similar to Dwarf Fortress but less complex, check out the roguelike genre The Best Roguelikes to Play When You're on a Coffee Break The Best Roguelikes to Play When You're on a Coffee Break Some roguelikes can take a while to beat. What if your time is limited? Introducing the coffeebreak roguelike! Read More . Fun fact: Dwarf Fortress is so intricate and unique that the Museum of Modern Art considers it a piece of art, having acquired it in 2012 as one of 14 games that exemplify interactive design 5 Games That Remind Us That Video Games Are Art 5 Games That Remind Us That Video Games Are Art Art is one of the few things in life that could arguably be considered 100% subjective. One man's art flop is another man's masterpiece. It's strange to think of video games as art, especially since... Read More . 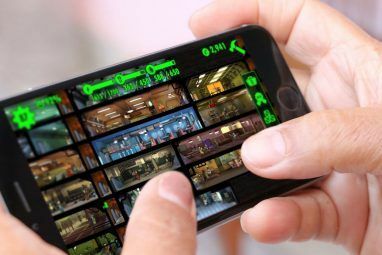 As awesome as it is that lone developers can create a vast array of game content without having to handcraft each individual piece, there’s one chief danger in utilizing procedural generation — at least as far as we’ve seen today — and that danger is chaos. Anyone can make up gibberish math to produce random-looking results, but it takes incredible skill and finesse to find systems which produce results that look meaningful and intentional. The real challenge in procedural generation is to try to imply an artist in the math – to find a system of equations that embody some element of the artistic process. Good procedural content isn’t about randomness. It’s about organized complexity, and that’s where most games fail. At GDC 2015, one of the developers working on No Man’s Sky claimed that there would be a total of 18 quintillion possible worlds. If that makes your eyes roll, you aren’t alone. It’s a tall claim to make and it promises a lot more to the player than the developers probably intended. After all, if Planet A and Planet B have completely different appearances but still adhere to the same basic gameplay, it’s going to be a huge letdown. At that point, it’s really no different than having one single planet with procedurally generated terrain — something that’s already been done by Minecraft and its clones. Fortunately, based on what the developers have said, this doesn’t seem to be the case. The first core conceit of No Man’s Sky is what I would call dependent systems. In most procedural games, the gameplay systems stand on their own. You have separate sets of rules that govern monsters (e.g. loot tables), items (e.g. randomized stats), terrain (e.g. environmental assets). The systems relate to each other like a web of nodes. In No Man’s Sky, the systems build on one another like a pyramid rather than a web. The results of one system become the parameters of another system, which outputs more results that determine the parameters of yet another system. This tighter coupling produces a wider range of gameplay-changing possibilities. For example, when generating a new planet the core system might determine that this planet is an appropriate distance from the nearest star, so it has water. Because it has water, it will have animals, the sky will be blue, the water will run as rivers into lakes, the mountains will have snow, etc. The second core conceit of No Man’s Sky is that everything is deterministic. On one level, deterministic generation isn’t news. Minecraft uses seed values to generate its terrain. If you used the same seed value in two different sessions, the terrain would end up being the exact same in both. But in No Man’s Sky, everything is deterministic. When you fly near a planet, its details are generated out of thin air. Now let’s say that you touch down, walk around a bit, kill a few animals, then fly off of the planet. Because you’ve left, the planet will disappear into nonexistence. Nothing is ever saved on disk. But if you fly back to that planet at a later time, the same planet will be generated out of thin air. Not only that, but whatever entities were present on the planet will have “continued to live” while you were gone. How? The planet’s state and the behavior of its inhabitants are all determined by mathematical functions. Given a point in space and a point in time, the game will always give back the same answer no matter who’s making the request or when the request is made. What’s groundbreaking about No Man’s Sky isn’t that these ideas are new or innovative, but the fact that nobody has ever applied these particular ideas in this way to this extent. Its attempt to create deeper procedural variety is noteworthy as is its lack of reliance on disk storage. But is this the best can expect in terms of procedural content? What other developments are currently going on? In November 2014, there was an interesting online programming competition Test Your Programming Skills With These Online Competitions Test Your Programming Skills With These Online Competitions Are you in a programming rut? Worried that your coding skills have hit a plateau? Sometimes the answer is a heavy dose of challenges that stretch your abilities to their limits. Read More that you may have missed: ProcJam (short for Procedural Jam). Though the competition itself wasn’t serious — nobody walked away with a huge grand prize — the results surely were. One notable entry was Dreamer of Electric Sheep, a text-adventure game that pulled all of its descriptions from an online database of semantic associations. Could this be adapted in a graphical way, perhaps pulling art assets from various repositories? Or even generating art assets on the fly based on source concept material? But if you ask me, the most exciting arena for procedural content is virtual reality. With our recent visit to the Army Game Studio Going "Hands On" at the US Army Virtual Reality Game Studio Going "Hands On" at the US Army Virtual Reality Game Studio Most game studios are pretty tight-lipped. This is the first time the Army Game Studio has provided an inside view, and I'm pleased to be able to share it with you. Read More , we’ve already seen how virtual reality and video games are colliding into something amazing. If that doesn’t convince you, check out these virtual reality simulations Oculus Rift VR Simulations You Have To See To Believe Oculus Rift VR Simulations You Have To See To Believe You've seen the Oculus Rift, but you haven't seen some of the insane uses it's been put to. Check out these awesome Oculus Rift demos from around the world. Read More . Can you imagine when the versimilitude of virtual reality catches up with real life and we’re finally able to incorporate elements of advanced procedural content? It would usher in a new age of mainstream entertainment, allowing people to explore an endless sequence of new and unique worlds. But the biggest area that needs improvement? Personal human touch. Procedurally generated content must, by definition, be bound by a set of rules and that means that the set of outputs is inherently finite. Thus, it’s inevitable that world elements will eventually start repeating and/or feel similar to previous iterations of content. Making progress in this area requires literally formalizing the artistic impulse and human creativity, and could take a very long time. Then again, maybe not. Are you a fan of procedural generation? Has it peaked or will it continue to shape the gaming landscape? Share your thoughts with us in the comments below! 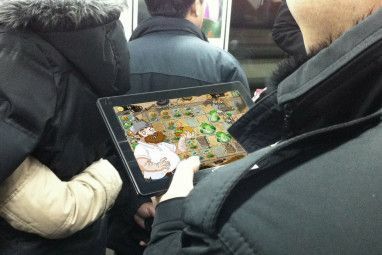 Explore more about: Adventure Game, Simulation Games, Video Game Design. I'd like to see someone make a planet like earth, millions of procedurally generated animals mammals and insects etc... Weather patterns, resources,the lot. Where anything is possible. From that people could make any game they liked. I get the idea you think procedural generation is just a resource-saving way of delivering content in the absence of a big development team. I don't see it that way. As a player there's something magical in knowing that you are the very first person ever to see a particular location. With standard open world games, even if you're the first person to reach the location in the game (and there can by definition only be one of those) the location has been put together by a developer and therefore you're not really discovering anything new. NMS appears to provide the first opportunity to genuinely go where no man has gone before. Also, I suspect he was rounding down with that number. 2^64 is 18,446,744,073,709,551,616, or a little above 18 quintillion. My guess is they're using 64 bit numbers to generate the planets, which is what 'limits' them to that number of planets. So after 300 million planets, you would still have 18,446,744,073,409,551,616 left. If a billion players discovered a billion unique planets each, you would still have 17,446,744,073,709,551,616 left to explore and the majority of planets each player would visit would still be completely new, unvisited planets. Now if you ignore the fact that most players will be heading toward the center of "the" galaxy (there are really trillions of galaxies), and the possibility that everyone will start in the same galaxy. Instead picking planets at complete random, the odds of ever landing on a planet that someone else is currently on are incredibly small. If a billion people are playing and each one picks a random planet, there is roughly a 5-6% chance that two of them will happen to pick the same planet. One thumbs up because the PS4 might get a decent videogame other than Bloodborne. Another thumbs up because you mentioned Dwarf Fortress; the best game that has or ever will exist. Just a quick point on the number of planets. 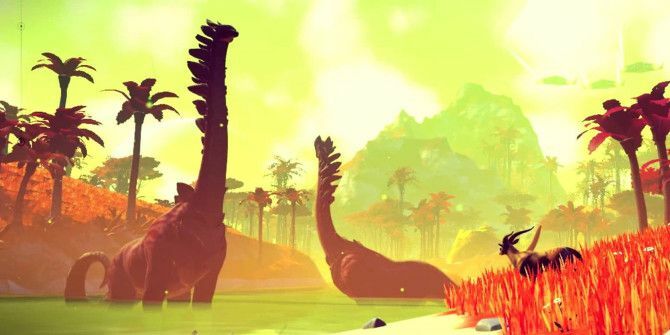 Sean Murray said in an interview series with Gamespot that the number of planets is to give players a sense that they're seeing something unique, that no-one else will see because there ARE too many to discover the similarities, rather than attempting to provide quintillions of completely different worlds. If 6 million people bought the game (roughly average in todays market) and each one discovered 10,000 planets (highly unlikely but we'll go with it) they would discover 300,000,000 planets. There would still be 17,999,999,999,700,000,000 planets left.